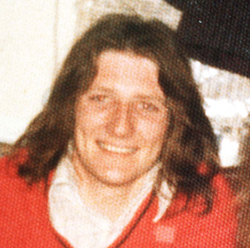 Last Sunday, 1st March, was the 34th anniversary of the day in 1981 that Bobby Sands began his hunger strike which lasted sixty-five days until his death. Recently, another former hunger striker, Laurence McKeown spoke at two events in Italy to commemorate the ten men who died in the struggle against criminalisation. On 16th February Laurence spoke at an event in Verona (sponsored by Amnesty International and Verona’s Travel Agency Travel Team) and on 17th February in Vicenza (sponsored, again, by Amnesty International). The 2001 film H-3, written by the late Brian Campbell and Laurence McKeown, and directed by Les Blair, was also shown. Laurence gave an extensive interview to the newspaper Il Giornale di Vicenza. 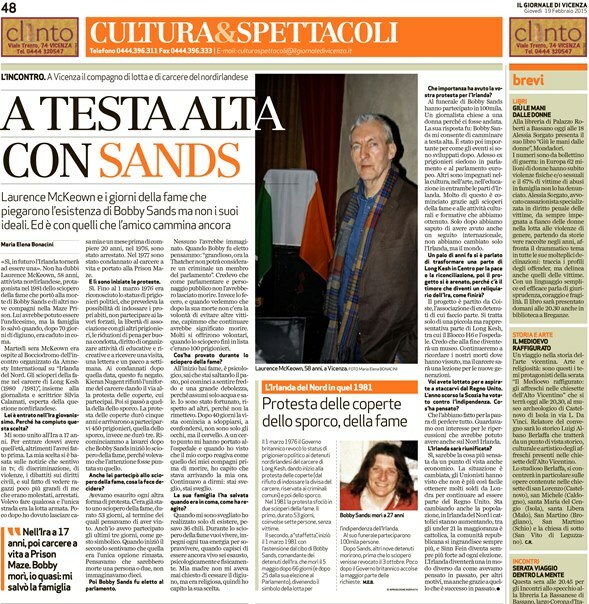 The meetings were chaired by Silvia Calamati who has written extensively on Irish republicanism, on republican women in struggle and has written about and translated the writings of Bobby Sands.